Being a salesperson isn’t easy. Despite having access to technology, sales reps still lack the necessary information to successfully engage, convert, and upsell their prospects and customers. Moreover, 42% of sales reps say they don’t have the information they need when they make a call, according to a recent CSO Insights study. For example, in 2007, it took an average of 3.68 cold call attempts to reach a prospect, states Telenet/Ovation Sales group research. Today, it takes eight attempts. This change is not just a problem for Sales; it’s a concern that should be shared by colleagues over in Marketing. In other words, your marketing team’s most important client is your sales team. Marketing must now act in a sales-enablement capacity, doing all it can to help Sales win that deal. So, how can marketers do this? The amount of prospect information handed over to Sales with a Marketing-generated lead can vary wildly. The most basic lead will have a name and contact details. If it has been generated from an account-based or industry-specific campaign, firmographic details will be included. There may also be purchase history for a repeat buyer. The advent of marketing automation has meant more advanced lead generation will come with a prospect engagement score based on scored interactions with your website. All those are helpful and build upon each other to give a view of each lead with which the salesperson can have a more informed conversation. However, knowing a name and having a lead score does not necessarily translate into actionable intelligence. 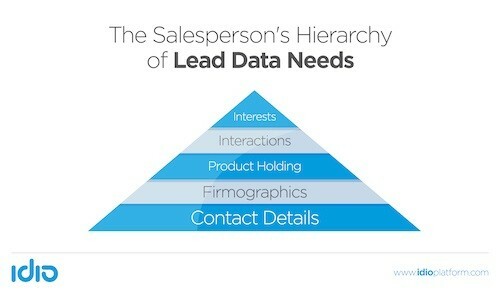 Sales people need to know what their leads are interested in. Fortunately, prospects are constantly revealing their interests and their needs by their content choices. Content is integral to the research process. As each prospect engages with client blog posts, whitepapers, product pages, email programs, and social media posts, those engagements are highly revelatory of prospects’ interests and predictive of what they’re likely to purchase in the future. Marketing should look at ways in to use technology to expose this insight and pass it on to Sales. The most common complaint among salespeople was being unable to find the right content for their prospects, according to a recent Kapost study. At Corporate Visions’ recent conference in the UK, its research showed that salespeople spent up to 40 hours a month searching for content or creating their own when they could not find what they wanted. Content is one of the most useful weapons in a salesperson’s toolkit for reengaging cold leads, nurturing conversations, and handling objections. If they can’t find it, they can’t use it. The less time they spend searching for the right piece of content, the more time they can dedicate to what they do best: selling. Salespeople will never have the time or the inclination to get the global oversight of an organization’s marketing content. Therefore, it is incumbent upon Marketing to find out (or preempt) the content a sales rep will need to nurture and convert a prospect after lead hand-off. That’s easier to do when Marketing has been tracking the content consumption of each prospect before lead handover. The temptation for marketers is to always focus on creating content that is in-depth, weighty, and voluminous. Often, this kind of content generates leads; it’s gated and requires people to relinquish their name and contact details in exchange for access to the content. Jason Miller, global content manager at LinkedIn Marketing Solutions, describes this as “Big Rock Content”—fantastic in campaigns, but for busy salespeople who are every bit as time-poor as their prospects? Not so much. Finally, both Marketing and Sales need to have a shared view of pipeline activity. Divided dashboards can lead to divided departments; Marketing focused in its marketing automation platform and Sales tinkering in its CRM software. Integration between both of these systems means that it’s now possible to track a lead all the way from the top of the funnel to a closed sale. Dashboards deliver a single, clear way to track the entire buying process, based on real-time data. With a great dashboard, it’s easy for Sales and Marketing to figure out what works and what doesn’t. And no company interested in selling anything can really afford to ignore that. 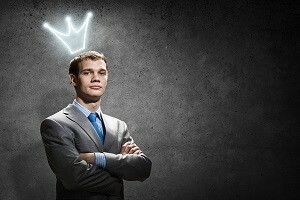 An effective sales-enablement strategy has a major revenue impact. Marketers are now in an advantageous position to capture the insight from prospects’ content consumption, pass it on to sales reps for more informed sales engagement, and use technology to track that insight’s affect on sales performance.